These are most of the software tools that developers use to create the e-learning content that you see in most courses. 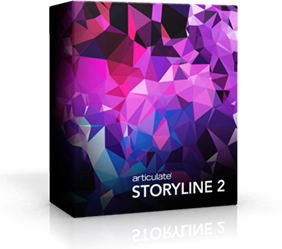 Storyline, is a revolutionary software that allows you rapidly deploy e-learning without knowing a lone strand of code. In the old day Flash was the main way to deploy your e-learning, but you need a special SCORM compliant player that would allow you deploy your content on an LMS. 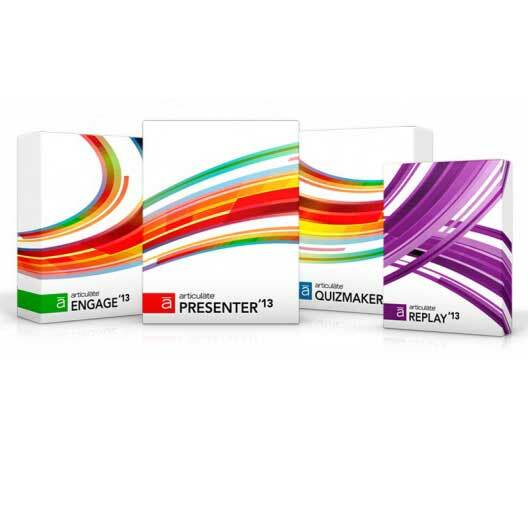 But now that Flash has gone by the way side, Storyline is the best way to deploy rich e-learning content. Now that Storyline 2 is here, I hope see more amazing content from developers. Create online courses in PowerPoint with Articulate Studio, the standard in rapid authoring. Easily build courses, quizzes, and other e-learning content with a tool you already know. Articulate Studio 13 & on 09 work in PPT, so if you are familiar to PPT then this will be a cake-walk to learn. Moodle is an amazing Learning Management System (LMS) that allows you to upload SCORM content as well as html pages, create quizzes, track learners progress and with a vast array of group types you have learners from different groups see different e-learning on the same LMS. Also since it is open source coding, you can get into the code if you like and change as the way you see fit for your own use. Since Moodle has periodic updates I want put the most recent version here, but here is a link to the most recent updates.